The method focuses on the three main elements of a product, solution or experience: people, technology, and business, all of which revolve around the customer. As Kaan Turnali (SAP commentator) puts it, “The customer drives the current and future state of any business.” He adds, “products and services, whether they are delivered to internal or external customers, must create intrinsic value and address specific business needs.” This cannot be done unless the customer is an integral part of the entire product life-cycle and not merely an afterthought. The process is best thought of as a system of overlapping spaces rather than a sequence of orderly steps. Inspiration: the problem or opportunity that motivates the search for solutions. 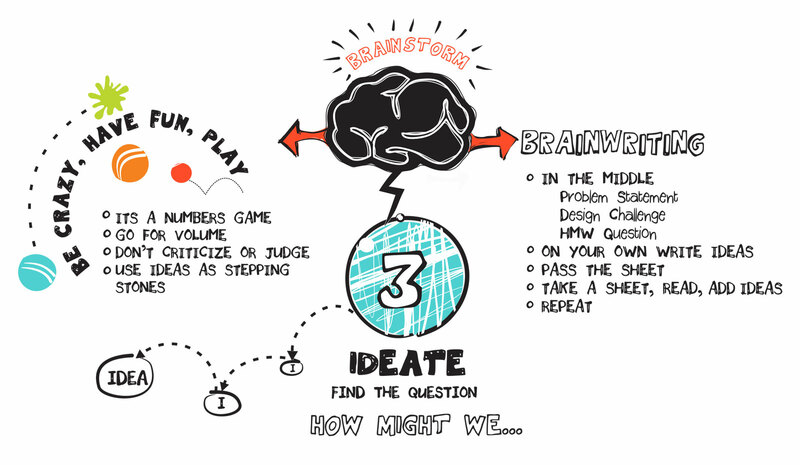 Ideation: the process of generating, developing, testing and refining ideas. Implementation: the path that leads from the project stage into people’s lives. Design Thinking can be applied to just about any innovation challenge within any industry. It can be as effective in technology or education as it may be in services or manufacturing. It could result in new products and services for customers or improved processes and productivity gains for internal operations. If applied with equal fervour, it can even transform HR, finance, marketing or operations teams into lean and agile profit centres. Because Design Thinking puts the customer or user in the driving seat, it not only solves real needs but creates new sustainable eco-systems of value. This comprehensive programme is designed for companies who are serious about shifting organisational dynamics and developing a culture of creativity and innovation. It is based on the neuroscience of enhanced performance combined with Design Thinking principles. The programme consists of five full day workshops that take place over a period of 5-6 weeks. The participants get to work on authentic business challenges leading to valid results. The process includes fieldwork between each session. This allows for a deep dive, which helps to embed and integrate learnings. By the end of the programme delegates will not only have learnt a new skill-set; they will be well on their way to developing solutions that solve real customer needs. We can run up to 5 cohorts simultaneously and each cohort can include up to 20 delegates. Our programme includes comprehensive workbooks, decks of cards designed to elicit, shape and strengthen ideas, as well as other tools designed to stimulate creative thinking and deliver solid implementation plans to enhance successful outcomes after the training course. 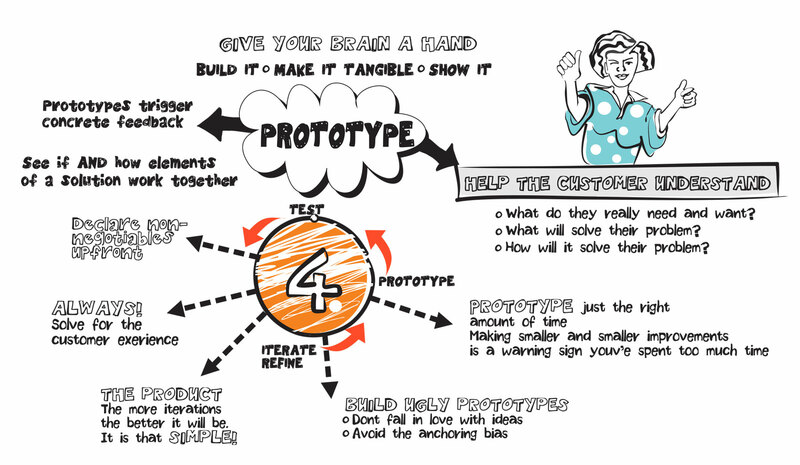 This is an ideal solution to introduce teams or conference delegates to the concept of Design Thinking. The maximum number of delegates is 150 and the minimum time allocation is 4 hours. The session includes a highly interactive 90min crash course that enables participants to experience Design Thinking principles and processes directly. The crash course includes a tool that can be used after the session to facilitate quick Design Thinking processes. In order to empower organisations to further develop an a culture of innovation, Sense to Solve offers facilitator training, mentoring and supervision programmes to interested individuals who meet the necessary criteria, to become certified Design Thinking facilitators. Sense to Solve works with an eclectic group of radical collaborators. In this way we offer our clients access to diverse thinking and a broad range of skills when embarking on innovation and problem solving challenges. Address complex business problems and create competitive edge by solving real customer needs, whilst training employees in Design Thinking principles and processes. 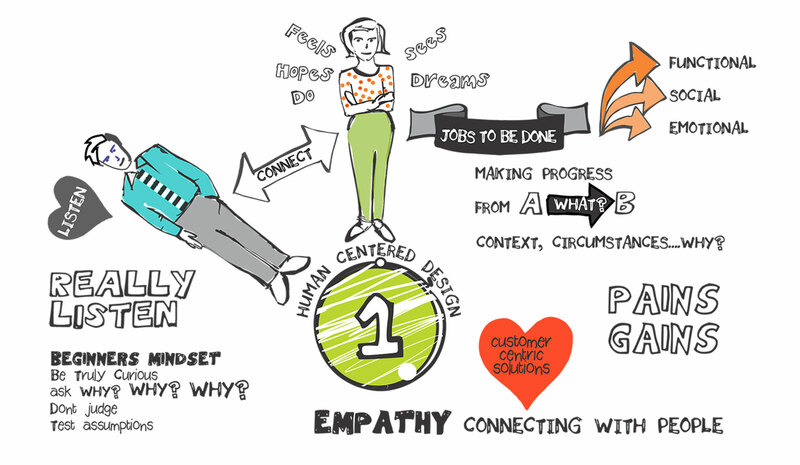 Gain empathy and develop insights based on a rich understanding of real customer needs and observed customer behaviours. Test ideas and refine ideas with real users before developing and deploying expensive solutions. 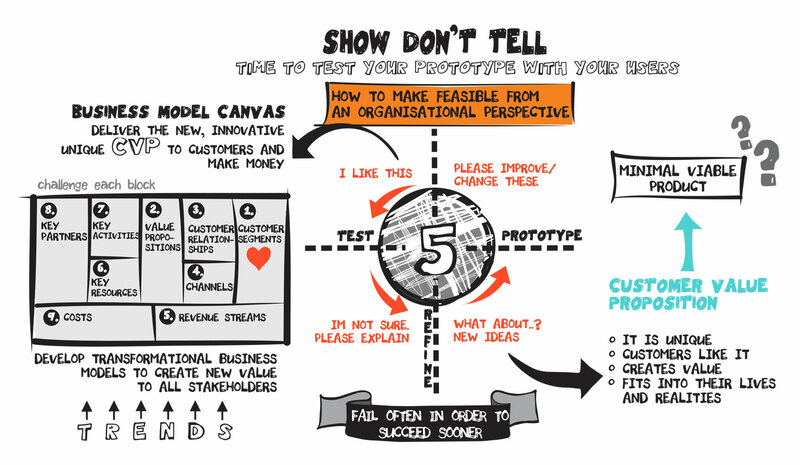 Save time and money by embracing rough and ready prototyping “fail early and often” rather than wasting time and money on perfectly executed undesirable solutions. Leverage the value of multi-disciplinary teams that include the perspectives of individuals with diverse skills and abilities. Learn to identify underlying root causes in relation to challenges as opposed to reacting to superficial and/or surface problems. Stay relevant and innovate without disruption, whilst developing and entrenching a culture of experimentation, creativity, innovation and action. 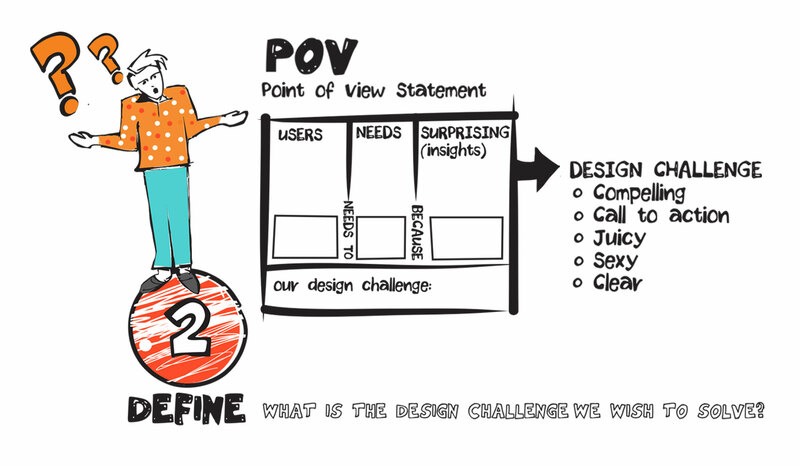 Apply Design Thinking principles and processes to just about any business challenge, within any industry. Use the process and principles to improve internal operational systems, processes and efficiencies. Leverage the benefits of a coherent methodology that stems from well-known best practices, incorporated into a user friendly and easily replicable process.